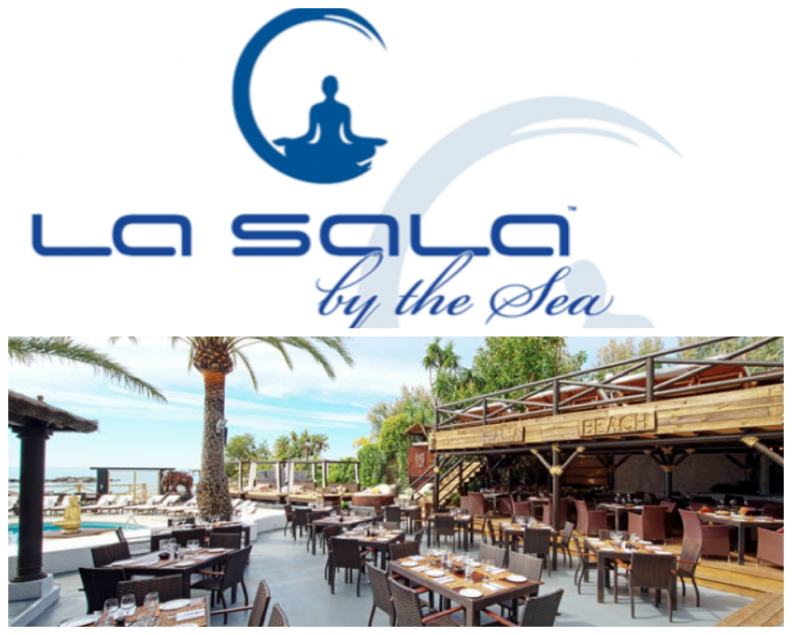 From May 1st, La Sala introduces its new seafront restaurant and beach club, La Sala by the Sea (formally Sala Beach). Open day and night, La Sala by the Sea will offer diners La Sala’s signature dishes fused with a Thai twist. La Sala favourites including Prawns Pil Pil with Chilli, Garlic and Olive Oil, Grilled Teriyaki Salmon on a bed of Yaki Tori Noodles, Chateaubriand for Two and Sala BBQ Ribs with French Fries will all make an appearance on the menu along with an array of to-die-for Thai specialities. If you enjoy a ‘Taste of the East’ then Pad Kratiem - Chicken with Pepper and Garlic or Pla Pad Khing - Monk Fish with Ginger, Chilli and Coriander is sure to delight even the finest of epicureans. Furthermore, a fresh selection of fish will be available both during the day and in the evening restaurant. Executive Chef, Ramon Benitez Ramirez, whom has worked at both La Sala and El Rincon de la Sala, and Sala Group Operations Director, Miguel Estevez will be overseeing the group’s latest venture to ensure La Sala by the Sea boasts the same fine gastronomy and superior service the group is famed for. During the day customers will be able to enjoy lunch overlooking the Mediterranean, then retire to one of the luxury sun loungers around the pool. Alternatively, the snack menu will offer a selection of delicious dishes that can be enjoyed by the pool or on the beach. From May 23rd, La Sala by the Sea will open its doors at night. By sunset the restaurant will transform into a beautiful Thai haven featuring La Sala’s gourmet cuisine in stunning surroundings. This sophisticated eatery will offer customers an alternative, elegant, al fresco experience for the summer season. Alongside the inviting fare, La Sala by the Sea will also boast a vibrant selection of cocktails ideal for enjoying from the comfort of the luxury cabana lounge beds or around the central bar. Members of Sala Group’s loyalty programme, Sala Rewards, will be entitled to 20% discount off their food and drink bill at La Sala by the Sea. Other Sala Rewards benefits include 10% discount at both La Sala in Puerto Banus and El Rincon de la Sala in San Pedro, to sign up visit www.salarewards.com. This summer, sit by the shores and admire the spectacular sunsets of Puerto Banus. Devour a signature Sala cocktail at the bar, before dining under the stars. La Sala by the Sea; the perfect combination of stunning scenery, exquisite gastronomy and superior service.